Oh yes. 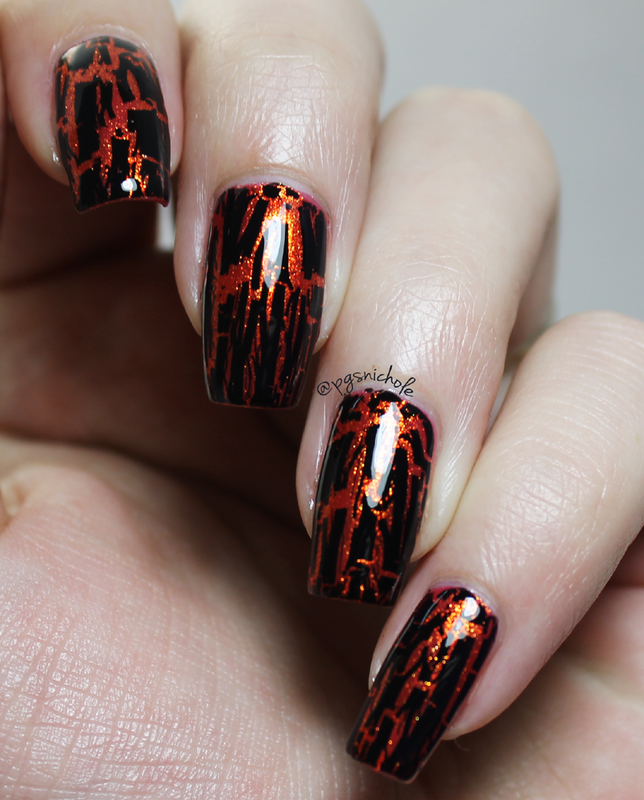 Crackle. It is cool. I don't care what you naysayers say. Crackle will always be awesome. It will never die, no matter how many "polish trends that were terrible" lists are published. The best part about this Ciate polish is how it glows in the light. I really do love it, though I don't know if I could bear to pay for it. This was a gift, and I do treasure it. Whenever I want a simple manicure that requires an orange, it is my first thought. 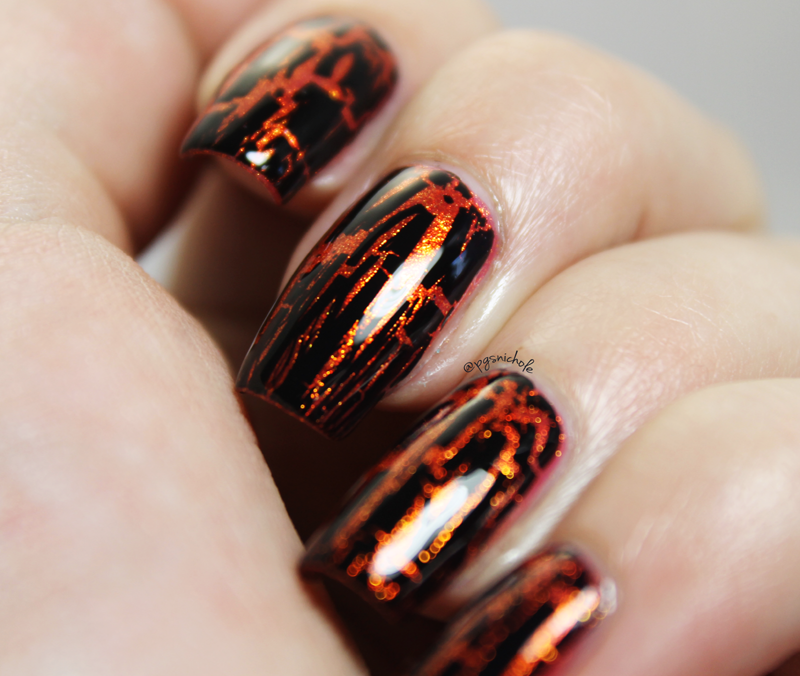 Because this glows, I think it makes my nails look like a lava flow. Not the drink...an actual lava flow. I think, as the holiday-to-end-all-holidays approaches, this would be a nice work manicure. 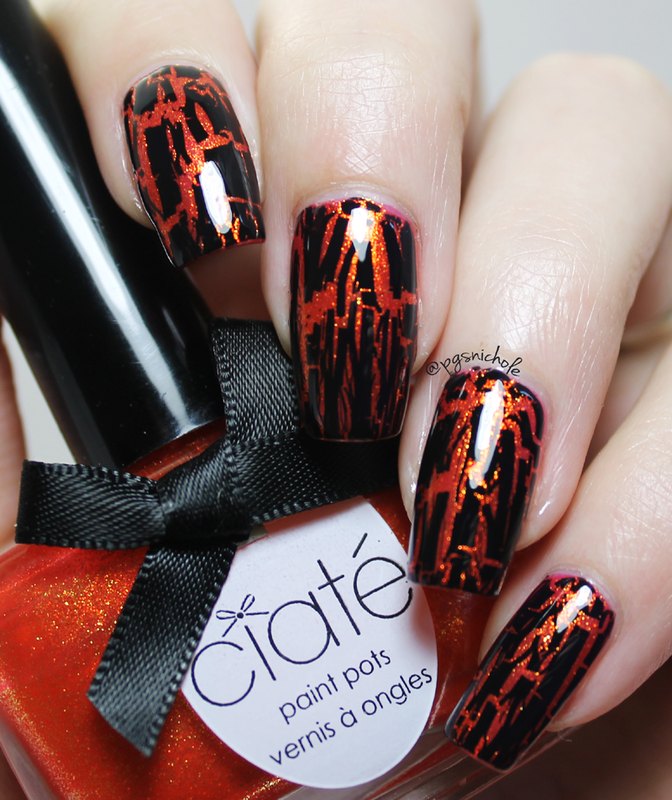 It's orange and black, those are practically the official colors of Halloween! If your co-worker can wear those Christmas ornament ball/earrings for an entire month, I think you can wear this for a day or two. Me too! There are so many polishes that I just tossed...that I could resell for so much now if I had known!